Steve Smith and Australia have given cricket lovers around the world another reason to question the integrity of the game. 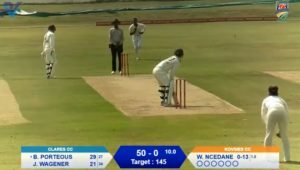 I had the chance to sit down with Vernon Philander before the start of the Test series against Australia. One cannot talk about the Aussies without talking about some of the tactics which they employ to put opponents off their game. One of the topics we discussed during that interview was sledging. Philander’s comments were interesting in that they didn’t paint Smith and his charges in the most complimentary light. ‘They are the ones who bring that to the game,’ Philander said of the sledging that takes place in these South Africa-Australia clashes. ‘They exaggerate that aspect. Trash-talkers. Mental-disintegrators. That is the Australia that South Africans know. That is the Australia that we believed was heading the Proteas’ way for an epic four-Test series. To be fair, the Australians have not disappointed on that front. We’ve certainly had our fill of on-field barbs and off-field whinges over the past few weeks. What has set this particular tour apart is the fact that both sets of journalists have highlighted the hypocrisy of coach Darren Lehmann and Smith’s press conference offerings. Former Test players who have battled against Steve Waugh and the other greats of that era have made the point that the current Australian side is a different beast in terms of its attitude and values. 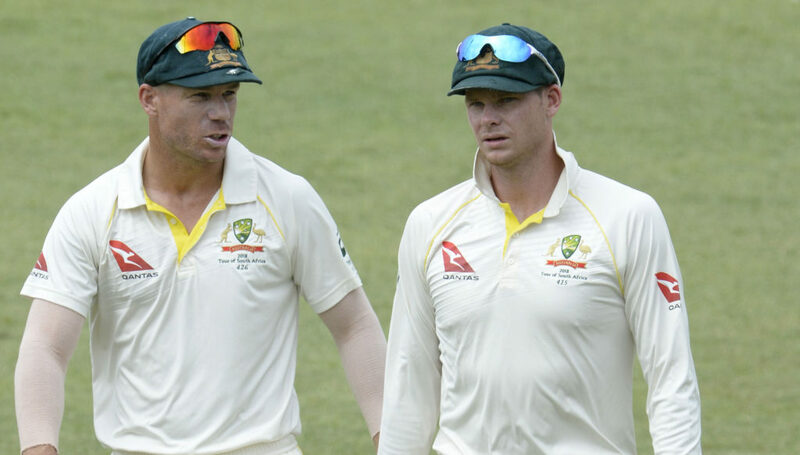 Indeed, the Australian community’s reaction to the ball-tampering incident – the extent of the conspiracy, the brazen act itself, the ham-fisted cover-up, the lame apology after getting caught, and more recently the allegations that Smith and Cameron Bancroft have done all this before – has been telling. READ MORE: Did the Aussies also cheat in the Ashes? Relevant questions have been asked about the culture created by Lehmann and Smith, and whether this culture is at odds with the integrity of Australian cricket and the sport itself. The desperation to win cannot justify the breaking of the game’s laws. All sorts of comparisons have been made since Bancroft and Smith confessed to the crime. One cannot align those transgressions, though, with doping or match-fixing, as some have suggested. That said, one can see how ball-tampering, or cheating, can impact negatively on the integrity of the game. Cricket doesn’t need another controversy. It doesn’t need to give fans another reason to ask whether the contest playing out in the middle is genuine or whether someone has cheated. One cannot help but feel that the Australians have done the sport a disservice. Every fan, whether they are Australian or not, should be saddened by what transpired on day three at Newlands. It is yet another black mark on the game. The Australians were viciously booed as they made their way onto the field on day four. Every batsman that lost his wicket was booed as they made their way back to the pavilion. There may have been a sense of relief in the Australian change room when the last man was dismissed late on day four. It ruled out the chance of further abuse and embarrassment on day five. The walk of shame is far from over, though. The Australians – sans Smith – will have to endure one more lap of dishonour in the fourth Test at the Wanderers. It would be a surprise to see the players sporting the same swagger that was so prominent in the earlier Tests at Kingsmead and St George’s Park. The whole world will be watching and perhaps waiting for them to put another foot wrong. It would be another surprise to hear the Australians sledging at the Bull Ring. The spectators are unlikely to keep quiet over the course of five days. Out in the middle, however, it may be a different story.